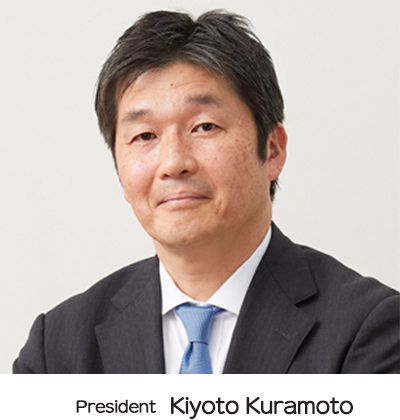 Message from the President | Marubeni Asset Management Co., Ltd.
We, Marubeni Asset Management Co., Ltd., fully invested by Marubeni Corporation, started operation in November 2007 by succeeding asset management business of a domestic real estate private fund. We established Marubeni Private Real Estate Investment Trust, a private REIT, in August 2014, and started its management in September 2014 in order to respond to the demand of unitholders who hope for stable management over the long term. Our purpose is to maximize unitholders’ interests by heightening profitability of assets under management through providing sound asset management services in addition to providing superior investment opportunities that match the needs of unitholders through maximized utilization of a wide variety of knowledge and experience related to development, investment and management of real estate accumulated by the Marubeni Group. We sincerely ask for continued support from our unitholders.